First of a two-part article explaining best practices in integrating an array of disparate security systems. Integration between the access control system and video management system, a common strategy, can bring a variety of benefits under the right circumstances. Anyone who is tasked with securing a facility, whether it’s a 10,000-square-foot law office or a major university, hospital, or corporate campus, has probably considered integration of security systems. The integration of access control, video management, intrusion detection, and emergency communications (mass notification) is usually the first priority. By integrating these systems, the facility manager or security director can benefit from efficiencies that did not exist when the systems were stand alone and had no reliance on one another for notification. Although recent advances in the security technology marketplace have made integration technically easier to achieve, the process of implementation is still a complex field of land mines — financial, political, and technical. Integration is a process. From defining integration to selecting the right contractor, each step in the process of integrating security systems is of paramount importance to ensuring that the integration plan is practical, budget friendly, and meets the needs of the organization. The first and most important step is defining the integration that is beneficial to the organization. To do this, the security director or facility manager must establish a team of individuals from the security group that can properly identify integration possibilities and vet those possibilities, not only from a technical perspective but also from an operational perspective (i.e., facilities, human resources, IT, and security). From this group of individuals an “integration champion” should be selected. The integration champion should be someone with a technical background who has an understanding of the security systems and how they work, along with a working knowledge of how these systems are currently monitored and utilized. The integration champion is responsible for identifying internal security-driven processes that can be either eliminated by or sustained through the use of security technology. The champion and the team are responsible for vetting the ideas and identifying those that are reasonable and those that are not. The integration champion should be the person that understands the business and ultimately what the organization is trying to achieve through integration, whether this be for budgetary or technical reasons. The most successful individuals in this role generally have an IT background. The first task of the team is to define the current internal processes that can be either condensed or eliminated through the integration process. For example, a very common form of security integration is the integration between the access control system and the video management system. In instances where cameras are installed in close proximity to access-controlled doors, integration between the access control systems and the video management system would allow for video recording and archiving of any attempts to gain access through the associated portal. This integration can provide recording and storing of all access-granted activities, access-denied alarms, door-forced-open alarms, door-held-open alarms, or any combination thereof. This example is a scenario that is very common in the real world and demonstrates where integration of the access control systems and the video management system can eliminate the need for security personnel to physically monitor doors. The critical success factor for the integration team is to review the processes in place and find logical solutions that can be implemented through deployment of security systems integration. Once the integration team has identified the internal processes that may be either eliminated or refined through the security systems integration, the integration champion must list these processes and vet them from a technical, budgetary, and practical basis. This can be done by consulting the manufacturers of the systems and in some cases the installation or service and maintenance company. And while there usually is a budget that has been identified for the integration project, this step can be used to refine the numbers, or establish the budget in cases where it has not been identified. 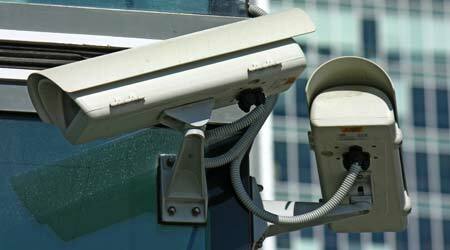 At this stage it is crucial to identify whether the existing security systems are proprietary. This is especially the case with systems that are five to ten years old (from the installation date). Proprietary systems are those where all components must be manufactured by the same company. If this is the case, then the systems in question must come from one manufacturer, regardless of whether they are access control, video management, or other peripheral security system. Over the last few years, manufacturers have been more open to allowing third-party integration into their system. However, this issue must be addressed during this step in the process or the integration project will fail.